Summit Homes Group will enter a team with members attempting either the 4km, 12km or a half marathon. 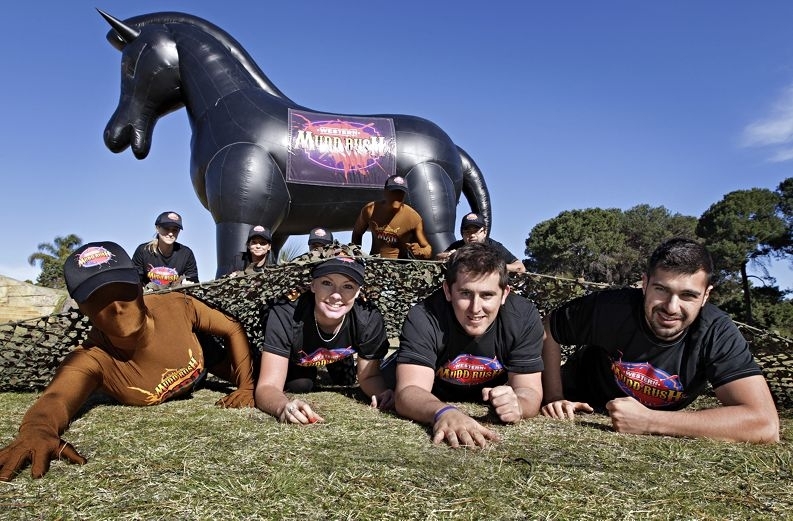 Summit will also enter a team in the Western Muddrush on August 17 for the first time this year, with six employees putting their hands up to tackle the 9km race through mud while passing 24 obstacles, including a 10m-high pyramid. Managing director David Simpson, who is competing in the City to Surf 12km event, said Summit had already raised more than $6000 for the events’ charities and he expected this figure to increase. The Western Muddrush is a challenging obstacle course at the State Equestrian Centre in Briga-doon that attracts participants from all over Australia. ‘Over the past 30 years, we have been passionate about supporting the communities we live in and build in,’ Mr Simpson said. ‘The City to Surf in particular has become an iconic sporting event that has been running as for long as we have been established, so we are pleased to be able to contribute to this important cause and its associated charities which have become so entrenched in our State. ‘Equally, the Western Muddrush is a new and vibrant event that raises awareness and much-needed funds for two great charities in DonorMate and Riding for the Disabled. Registration for the Western Muddrush closes on August 12 and registration for the City to Surf closes on August 23. For more information, visit www.chevroncitytosurf.com and www.westernmudd rush.com.